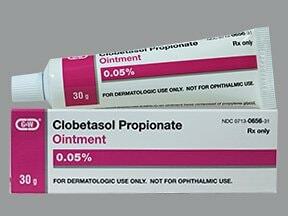 This medication is used to treat a variety of skin conditions (e.g., eczema, dermatitis, allergies, rash). 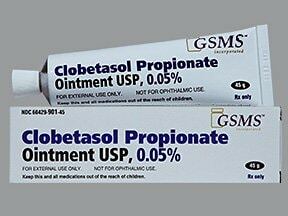 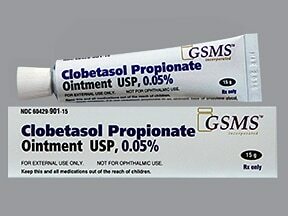 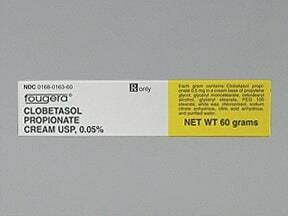 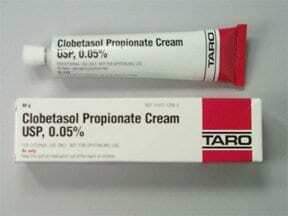 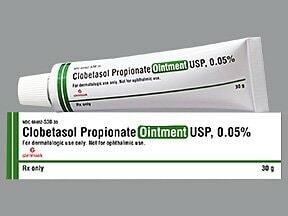 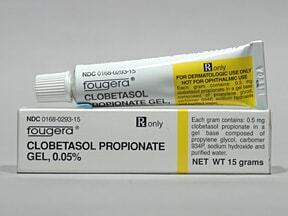 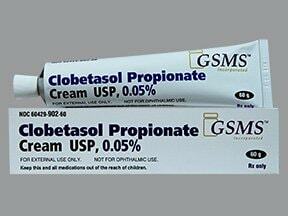 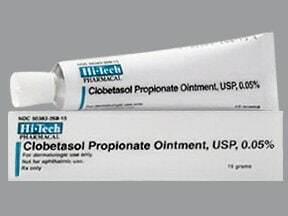 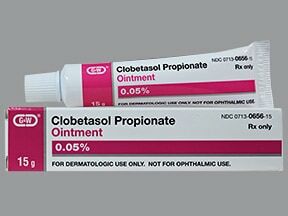 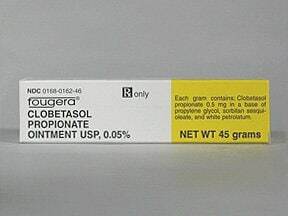 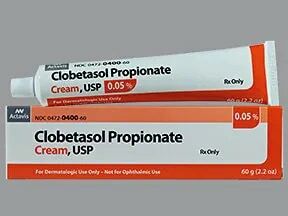 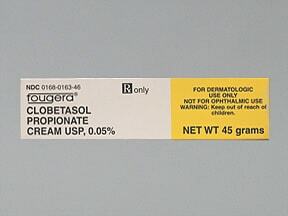 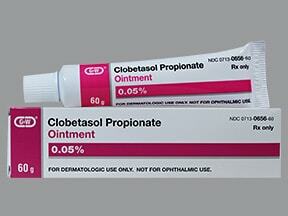 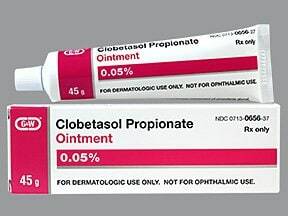 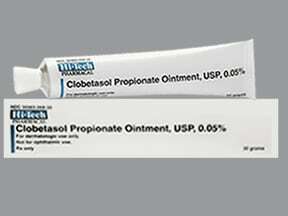 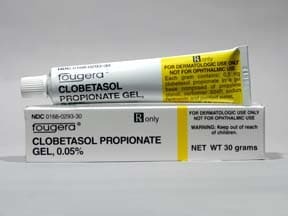 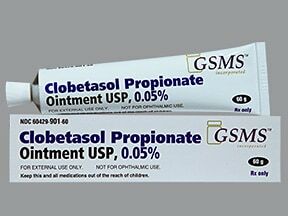 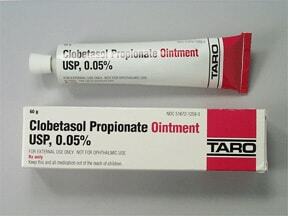 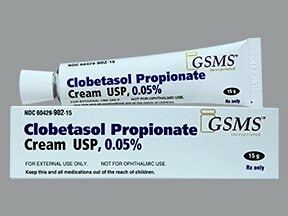 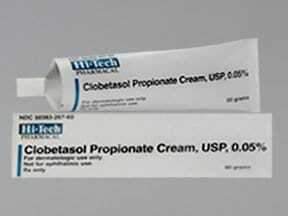 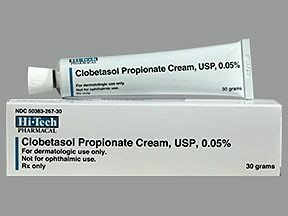 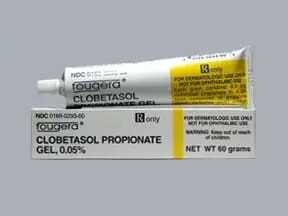 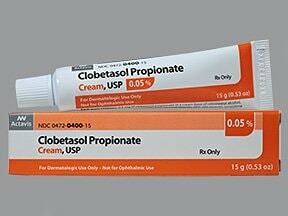 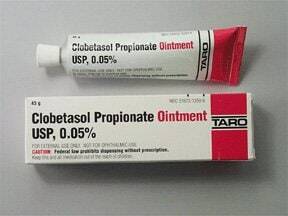 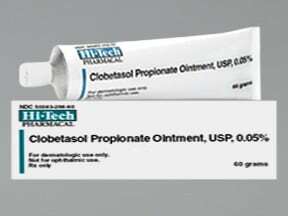 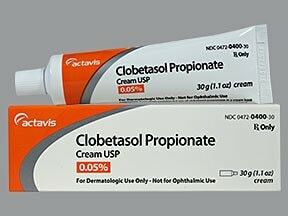 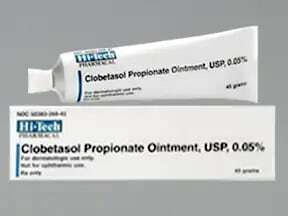 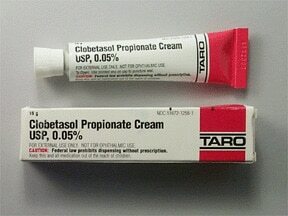 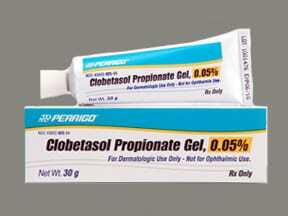 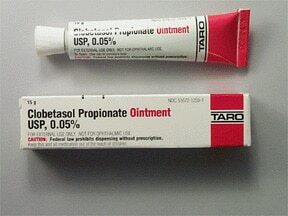 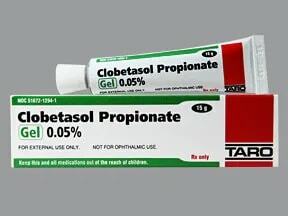 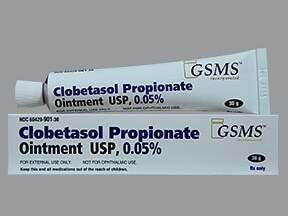 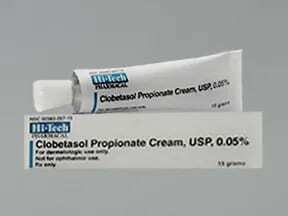 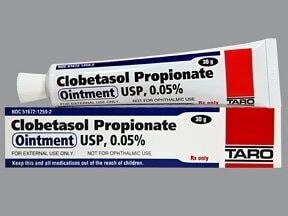 Clobetasol reduces the swelling, itching, and redness that can occur in these types of conditions. 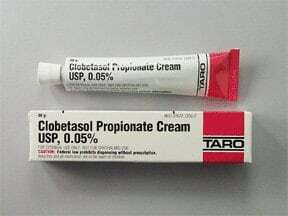 This medication is a very strong (super-high-potency) corticosteroid. 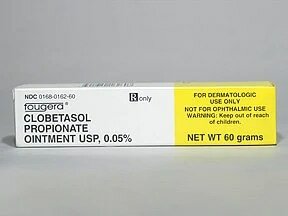 Tell your doctor if any of these unlikely but serious side effects occur: stretch marks, skin thinning/discoloration, acne, extreme/unwanted hair growth, "hair bumps" (folliculitis). 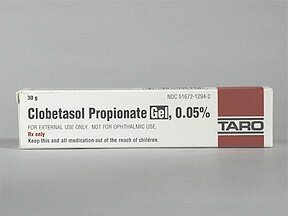 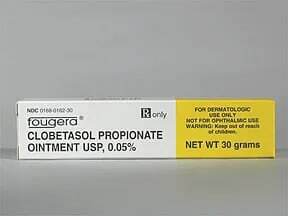 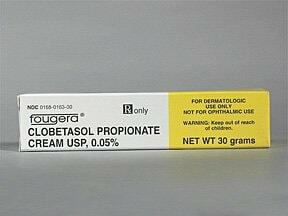 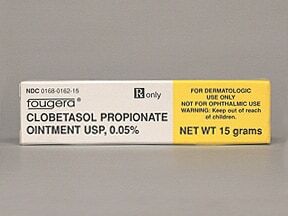 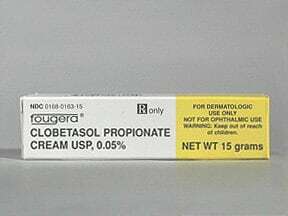 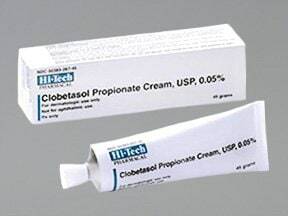 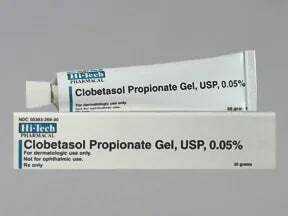 List Clobetasol PROPIONATE Gel side effects by likelihood and severity. 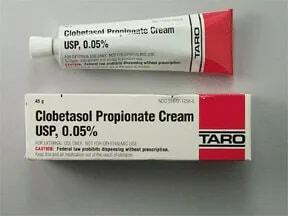 Before using this medication, tell your doctor or pharmacist of all prescription and nonprescription/herbal products you may use, especially of: corticosteroids taken by mouth (e.g., prednisone), drugs that lower the immune system (e.g., cyclosporine). 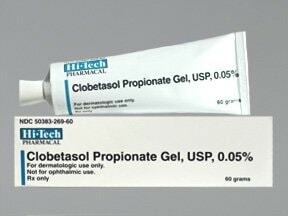 Are you taking Clobetasol PROPIONATE Gel? 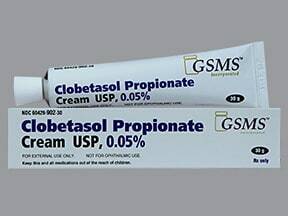 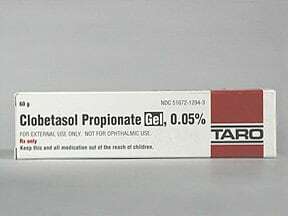 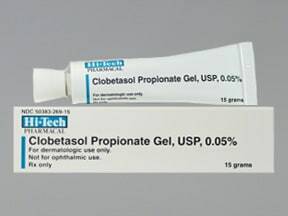 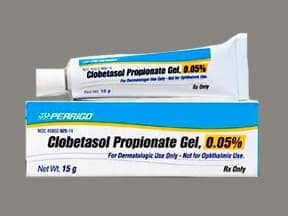 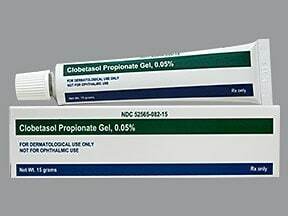 Are you considering switching to Clobetasol PROPIONATE Gel? 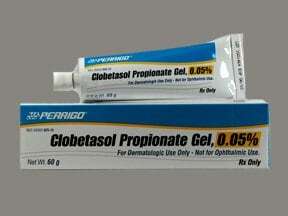 How long have you been taking Clobetasol PROPIONATE Gel?